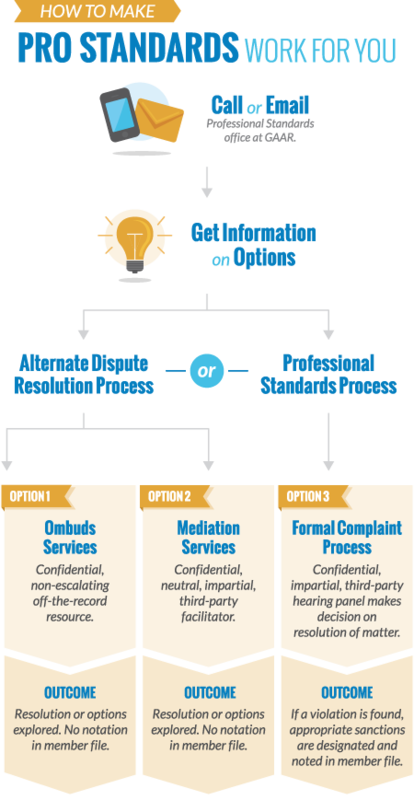 The Ombuds Program in its simplest definition is an informal telephone 'mediation' process. It is helpful in addressing and solving complaints from the public and has proved to be an effective tool in resolving REALTOR® to REALTOR® conflicts as well. Like a mediator, an Ombuds is neutral facilitator who assists parties in finding options and solutions they can live with. This free program is available to GAAR members, their clients and customers. Click here to view the Ombuds Brochure.